The 2018, 6.7km lung buster of a course looks like it’ll be around for a few years to come. It will also continue to have the young guns competing against the adults so 14s and overs can run! This will be the first Totley AC race to have fell runners this young not only taking part but competing alongside adults. The Race Organiser would really appreciate feedback on the route, format and time of year (and maybe how it feels to be beaten by a 14 year old). In extreme weather conditions the Race Organiser will use their discretion to decide whether kit will be necessary. Please bring full kit with you and expect to be asked to carryyour waterproof jacket. 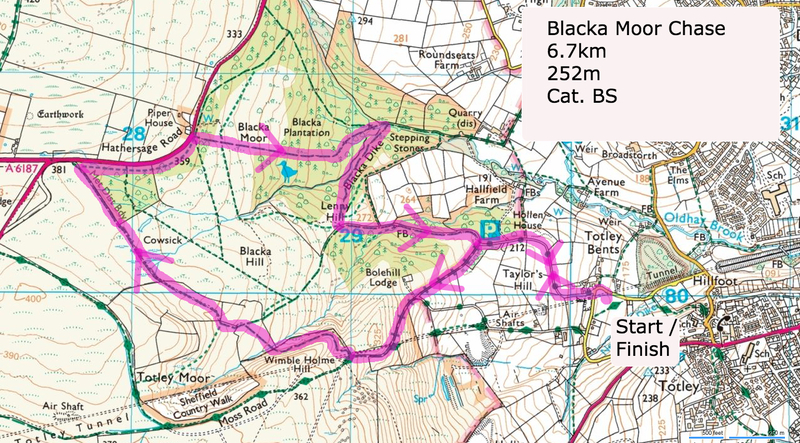 Blacka Moor Chase 2018 is 6.7km and has 252 metres of height gain. Due to access on Blacka Moor and Totley Moor the route is entirely on PRoW and is therefore fully marked and must be followed at all times. This race is both pre-entry and entry on the day. To enter in advance, please enter online here. The online entry facility will close 3 days before the race. 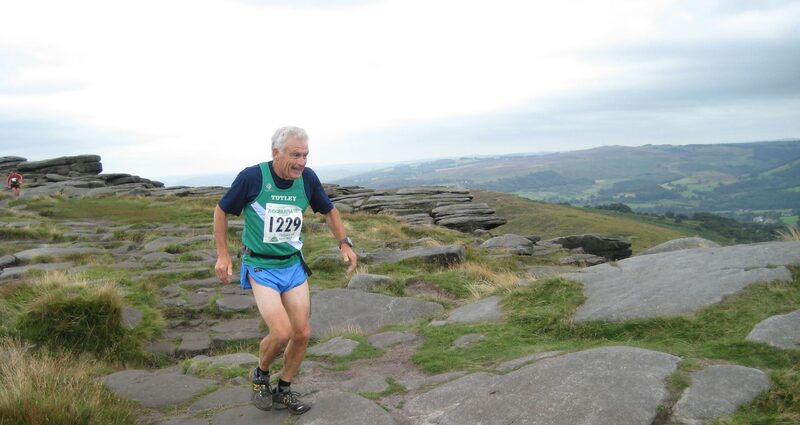 Pre-entered runners should collect their numbers at the Totley AC Pavilion on race night before 7.00pm. Runners entering on the day must have completed their registration by 7.10 pm.